Acupuncture is a form of treatment that involves inserting very thin needles through a person’s skin at specific points on the body, to various depths, with the aim of balancing their energy. This can help boost wellbeing and may cure some illnesses. Research suggests that it can help relieve pain, and it is used for a wide range of other complaints, including different kinds of pain, such as headaches, spine and joint pain, high blood pressure, whooping cough, and many other diseases. How acupuncture works scientifically remains unclear. Some people claim it works by balancing vital energy, while others believe it has a neurological effect. Traditional Chinese medicine explains that health is the result of a balance of the complementary extremes of “yin” and “yang” of the life force, known as “qi”, pronounced “chi.” Illness is said to be the consequence of an imbalance of the forces. Qi is said to flow through meridians, or energy pathways, in the human body. 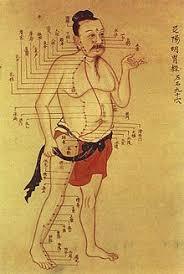 The body meridians are accessible through many acupuncture points in the body. Inserting needles into these points with appropriate combinations is believed to bring the energy flow back in balance. Some experts have used neuroscience to explain acupuncture. Acupuncture points are seen as places where nerves, muscles, and connective tissue can be stimulated. The stimulation increases blood flow, while at the same time triggering the activity of the body’s natural painkillers. Performed correctly, it is safe. It can be effectively combined with other treatments. It can control many types of pain. It may help patients for whom pain medications are not suitable. 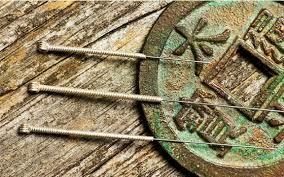 It is also suggested that acupuncture may help treat a number of infections, including some urinary tract infections and epidemic hemorrhagic fever.